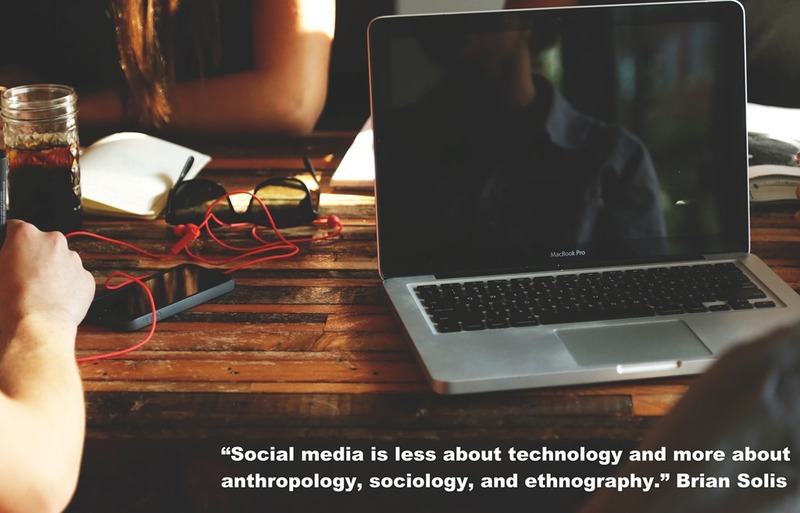 We attempt here to explore the relationship between anthropology, social media and public engagement through a web-based network that we helped to found and manage. We argue that obscure social and technical dynamics are at work here, but academic anthropology today also poses signiﬁcant obstacles for this enterprise. The Open Anthropology Cooperative (OAC) is an online organization for professionals, students and the general public with an interest in anthropology. It was founded in mid-2009. A small network of mostly young anthropologists raised t tohe possibility of such an organization on Twitter, and then moved for a few days to a forum that allowed more extended discussion; shortly after, on 28 May, they formed the OAC as a social media platform. The response to the OAC’s formation was explosive. Over one hundred members joined on the ﬁrst day, seven hundred in the ﬁrst month and one thousand in the ﬁrst three months; by the end of 2014 it had eight thousand members around the world. The ad hoc, volunteer ‘committee’ that launched the OAC was taken by surprise and the initial months were turbulent. In the ﬁrst year, some political crises had to be overcome, but eventually things settled down. The OAC is rather quiet now, punctuated by short bursts of activity around hot topics. A majority of the members appear to be dormant, but identifying active and engaged readers or tracing social media ‘sharers’ is always problematic on the internet. The promise of this social experiment is great, but we still have many problems to solve. The OAC consistently receives, on average, ﬁve hundred visits a day. The top ten countries varies, but the United States accounts for almost a third of these visits with Britain a clear second, followed at the time of writing by India, Australia, Canada, Germany, France, Italy, Japan and Brazil. Visits are divided roughly as follows: United States 30 per cent, other Anglo-phone 30 per cent, Europe 30 per cent, Rest of the World 10 per cent. This distribution understates the remarkable geographical and social range of the OAC’s membership, which is much broader. The OAC has over ﬁfty members in each of twenty countries, and double-ﬁgure membership in over thirty more countries (see Appendix 1). Active participation through posting comments on the site, however, is skewed towards native English speakers, although the OAC early on hosted specialist groups operating in German, Norwegian, Italian, French, Russian, Portuguese, Spanish and Turkish. Yet despite this initial diversity and the OAC’s worldwide reach, the trend is inexorably towards Anglophone dominance. The language issue is crucial for a site with global aspirations. In practical terms, the OAC is a place of online interaction, with discussion forums, blogs, groups, messaging, a chat room, and facilities for sharing photos and videos, announcements, posting oﬀers and making friends. It also serves as an archive with each member able to store photos, videos, music and texts on their home page and to post similar material around the site. This, along with its social media look, gives the OAC a Facebook feel. Interaction on the site is ego-centric for technical and cultural reasons, and despite the founders’ collectivist aims, the result is a conglomerate of individually curated pockets of information. We also built up a repository of source materials and advice that might be of professional, educational and public value. There is an underused wiki for course outlines, reading lists and similar material. The OAC Press publishes working papers which are discussed in online seminars lasting a couple of weeks. We also republish classical papers and have a book reviews section. There is thus a balance between ephemeral and more durable contributions. Given our initial focus on openness and freedom, however, we underestimated what it would take for the OAC to become a viable social concern. The world is going through a major transformation that is social, technological and cultural in scope. It has fundamental consequences for the human condition and hence for anthropology. The best way to learn about these developments is to take an active part in them (Hart 2009). There are analogies between the print revolution and today. For most of human history, information was hard to come by and had to be sought out. With printing, information became omnipresent and for the ﬁrst time people had to learn how to select what to read. Once this became acceptable, the way was then open for the mass media. But the relationship between sender and receiver was still asymmetrical. The internet and especially social media, commonly referred to as ‘Web 2.0’ (O’Reilly 2005), have made a plethora of options available through easy-to-use tools that allow anyone to become a communicator in their own right (Barone 2010: 239–42). New social forms adequate for channeling this unprecedented freedom of self-expression are at best incipient. They are, moreover, compromised by a bureaucratic capitalism whose command-and-control system and intellectual property regime continually provoke vigorous demands for more open access to information and for the democratization of its production, distribution and consumption. Activists too often envisage change through models shaped by what has been rather than what could be. Contemporary anthropology had its origins in the democratic revolutions of the eighteenth century, but has been reduced since to compiling passive descriptions of exotic phenomena or implementing bureaucratic imperatives rather than engaging with revolution. Few of us have received an education in revolutionary practice. Moreover, the universities are going through a crisis that gives many would-be anthropologists the choice of being medieval apprentices, precarious piece-rate workers or just unemployed (Kendzior 2012; Stoller 2012). This is the main constituency for something like the OAC, but their social predicament often conﬂicts with the liberation they aspire to. The new organizations we try to create are often hamstrung by the old intellectual equipment we bring to the task. 1 We unknowingly reproduce the dominant social forms in striving to resist them. The Open Anthropology Cooperative’s founders believed that they were launching a new social movement; and the heady ﬁrst weeks reinforced that feeling. But the OAC was born as a short-term reaction to academic bureaucracy, and its leadership has been trying to catch up with events ever since. At present, the OAC lacks dynamism and a transparent identity. Building an open association as an antidote to a closed academy turned out to be more complicated than we realized, not least because the prisoners do not know what to do when they have been broken out of jail. The ethnographic detail, historical reﬂections and political commentary of this account of the experiment we launched may help others to plan similar initiatives in public anthropology with greater foresight than we brought to the task. The shift from the OAC’s charismatic launch to more routine issues of organization and development posed some hard questions. Its brief history bears on the new social media, anthropology, its public face and the dynamics of innovation. We ﬁrst outline the circumstances of the OAC’s formation, then the social and technical questions that arose in its early development and how the organization has changed in three years. We also identify our main concerns for its future. Finally, we draw some lessons from this public experiment on the relationship between anthropology and democracy.